Most everyone in the truth community is likely familiar with the group known as the “cabal”, or the “Illuminati”. (For those who may be unaware, this is the group which is responsible for the majority of the large-scale crimes, atrocities, and destruction in the world today.) We know that they are bent upon controlling the planet for their own selfish intentions and destructive belief systems (thanks to their own confession). In light of the existence of this criminal group, it is important to understand that the presence of evil in our universe has to have an opposite (as David Wilcock has stated numerous times). Many of us are familiar with Newton's third law which states, "For every action, there is an equal and opposite reaction". Given the soundness of this law, I find it unlikely that it only exists under the microscope, or on the black board. I believe it exists as a universal constant, and that it effects multiple facets of life. If there is a force of destruction in our universe there has to be a positive constructive, force to balance out the destruction. This would equate to an ultimately positive force working for the benefit of all life, assisting in natural, developmental processes, and ultimately assisting in our evolutionary advancement. This is why the existence of an alliance opposing the cabal is likely a reality. ...But what is this alliance, and what do they do to create positive change? According to Corey Goode, this Alliance is a loosely-knit group of powerful groups and societies who have a common goal. That goal is to take the cabal out of their position of power and influence, and to replace their crumbling empire with a system that is more fair and balanced. 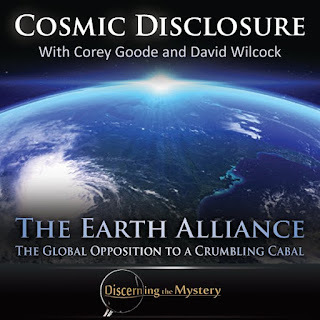 Goode makes the point that as much destruction and turmoil as this cabal has created over the centuries, it was inevitable that those who had been victimized by them would eventually come together in common opposition against them. (This could be thought of as a sort of natural, karmic recompense of the crimes this cabal has perpetuated.) Though this Alliance has mostly positive intentions, it is not entirely cohesive. The point was made that after this cabal is eliminated, there will be a hole to fill with regard to order and productivity in the world. Many of the Alliance groups have different agendas and ideas as to how the world should look afterward. The idea of a one-world-government was seen as inevitable by some. Others desire the truth to be told in its entirety, while some only think that there should be minor changes with regard to world order. These Alliance groups want different things, and are not intent upon acting until the negotiations have been completed. This will give those of us in the truth community time to start a grass-roots movement, and to demand Full Disclosure and accountability for the crimes committed against the planet and its people, according to Goode. This is the only way, I believe, to end once and for all, the countless injustices the cabal has committed. It was mentioned that there are still some who do not believe any alliance exists. These people believe that there is no hope for the world and that no matter what apparent opposition is seen in the world, everyone is “in it together behind the scenes", and that there is no reason to expect positive change. (This is a sad way to live one's life in my opinion.) However, Corey Goode as well as numerous other whistle-blowers have stressed the point that this Alliance is very real and that it is making significant progress. This progress of the Alliance has been the buzz within much of the reliable, alternative media. If ever there is a hacking attack against an establishment of central banking, or against the puppet, political establishment within the United States, chances are the Alliance is behind it. It is easy to spot those who are most active in this Alliance as well. Anyone the Western, mainstream media smears and demonizes is likely key in the take-down of the former NWO. The intelligence from Benjamin Fulford, from Edward Snowden, and much of the material from Veterans Today have been key in disclosing many of the actions of this Alliance, and according to these and many other sources, this group is making big strides. Among all of the areas of society which require broad-spectrum restructuring, the world of economics stands out. As many of us have seen in both alternative news and mainstream media, there has been much financial upheaval. This upheaval is said to be the evidence which proves the conflict between the Alliance and the waning power of the global cabal. Did the U.S.bomb China using a weapon launched from space? We see hacking attacks, industrial sabotage and offensives, the use of weather weapons, and countless instances of economic posturing which indicates that much more is going on behind the scenes than is being reported by the mainstream. Corey Goode makes the point that many historians will likely look back on this time as a sort of "stealth-WWIII", not in a violent outbreak of destruction, but with the use of cyber warfare, proxy armies, and covert operations. Want To Know About HAARP? 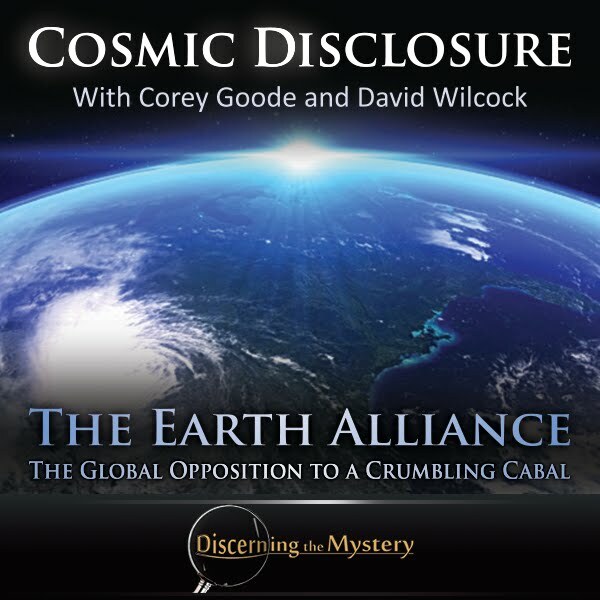 Goode continues to describe the massive amount of evidence the Alliance has gathered against the cabal. The world of espionage has advanced more than many of us have known with regard to technological capability. David Wilcock makes the point of surveillance equipment that is so small that no one within the cabal would have ever known it was present. He specifically mentions screw-sized cameras planted in the walls of official buildings such as the White House which have recorded some pretty damaging evidence against many cabal members. Corey also adds that this evidence includes e-mails, text messages, satellite imaging and more. The subject of finance is key in the victory over the cabal powers. This is because it has been via the control of money that these criminals have gained so much influence in the world. Consequently, it is very import to know just what exactly has been done to our society by these criminals so that we can better know how to undo the damage. As US Federal Reserve's policy is believed to provoke major turmoil in global financial and commodity markets. The issue of the financial world are numerous and can seem very complex, and those of the Federal Reserve system are no exception. However, these issues can be easily explained. This talk by noted author G. Edward Griffin gives prime examples of why the cabal must be put out of business. Among all of these recent happenings one has to wonder... How can we move forward from here? To answer this question it is first important to know what we do not want. For years now, the cabal has been trying desperately to agitate the public and to instigate mass violence. This can easily be seen from police violence, from the continuous murders, and acts of brutality and abuse committed by police with virtually no objection or opposition from a higher authority. According to Goode, this was specifically for the purpose of inciting mass violence, and the violence being used as an excuse to enforce martial law. It is likely, I believe, that the overall lack of justice in response to the violence we have seen from law enforcement to be a sign that 'justice' is no longer the goal of the US governance (or any government that allows such crime by pseudo-authority to continue). This was an apparent and abrupt change as compared to the past. When observing the gross violence from apparently psychopathic police officers, it was fairly easy to imagine that these "officers" were specifically hired to provoke the public to greater violence (along with the moment-to-moment coverage of each injustice broadcast by mainstream media so as to have the greatest effect in angering the people). These foul dealings can also be seen during numerous peaceful protests, during which police habitually plaid the role of agents provocateur so that they could cause violence, and create an excuse to stop the American people from protesting altogether. I find it very likely that this constant, criminal activity from supposed authorities was intended to be imposed on a much larger scale, and to be used as an excuse to enforce martial law. Thankfully, the ability of this quickly-dissolving cabal to follow through on its plans is waning more and more by the day. So with regard to what we do not want, violence and vengeance are most definitely among them. When considering the positive outcome most of us desire, violence is not at all how we will get there. This situation requires a peaceful resolution, and it is very important for all of us to avoid anger and violence at all costs. Now that we've covered that, lets get down to what we can do to help. The answer is very simple, but not that easily accomplished. Our task now is to share the reliable and provable information we have with those around us. Though, as many of us have learned, it can sometimes be uncomfortable and awkward to do this. We can face doubt, ridicule, and outright rejection from sharing this less-than-popular information (though many of us have gotten over these sentiments for the most part). Even still, this is a necessary step in helping people awaken to more than they are used to. With this task, however, there is much responsibility. Without realizing it, many of us may have chosen to form multiple beliefs without thinking the situation through, or gaining a thorough knowledge of a subject before sharing with someone else. On top of this, some, instead of offering information to those who are new to it, they choose to force-feed the information to people whether or not they want to hear it. This is actually counterproductive. If we attempt to force our beliefs on others, we may end up having the opposite effect than we intended, causing our friends and peers to avoid the difficult subjects instead of learning more about them. This is not the goal. In order for us to be capable guides, we must first learn how to guide ourselves. If we have been irresponsible and have not made it a point to respect the free will of others, we have missed the point. If we attempt to force our beliefs on other people, we turn out to be no better than the cabal themselves. Along with this we can also be irresponsible in our own research, failing to fully verify a concept before shouting it from the rooftops. This is also counterproductive. As things stand presently, we can't expect to know absolutely everything. We should also know that among the numerous sources out there, many have been specifically created to disinform us and to discredit us so that when we try to share the new information with other people, we will be ignored. It is only when we learn to share what we have responsibly learned while respecting the free will of others to chose their own beliefs that we will be of greatest benefit. This is our goal. Ultimately, our learning is up to us, and no one else. If we are misguided at this point, we have no one to blame but ourselves. We have all that we need available to us. All that is required to gain truth is a pair of open eyes and the emotional security to look at such information, free from preconceived notions or emotional dependency on any particular belief system. Our minds have been stolen property for long enough. It's time to take them back, and to be an example to the waking masses. We all make mistakes. It is common that when a person commits any offense, they either fess up to it, or they pretend that their mistake never happened. I am a person who would rather face the just consequence for any mistake that I may make rather than suffer the guilt of hiding it. (Though I do understand that breaking a dish, speak out of anger, or choosing words poorly pails in comparison to the crimes against humanity many of those in the Alliance and the cabal have committed, but still the principle applies, I believe.) We cannot escape the consequences of our actions. No matter how much we want to or how much we try, our actions will always come back to us. One point that should be made is that it is very unlikely that anyone will escape justice when this is all said and done. Though it is understandable that some don't believe in justice, and believe that they can do whatever they want at the expense of others. We know that sociopath and psychopathy exist in the world, and mental imbalances should be taken into account to some degree. However, despite these imbalances, it should be understood that no one can escape justice. At no level of criminal cooperation with this cabal will any exceptions be made. This may even come right on down to those working as paid trolls from government and social media sources. If people choose to cause discord and trouble for innocent bistandards who have committed no offense other than wanting truth, this will likely be taken into account as well. Anyone who has read about the history of the Nuremberg trials will know that there is no such thing as "innocent" among those who deliberately ignore their own actions with the excuse of a paycheck. It is our hope that "Liberty and justice for all" will apply in the world to come, and those who have chosen to step on others with regard to the former, may rest assured that they face the latter. This is balance. One final point to note... We've talked about how the Alliance has been slow in their role-out of disclosure and global change. However, this does not mean that we have to be the same. Their delays give each of us prime opportunity to speak out and to stand up for the truth. We have the chance to bypass all of their face-saving delays, and to push for Full Disclosure ourselves. Justice cannot be escaped, and if we truly value a world that is peaceful, fair, and just, the secrecy must end. ...Not later, but Now. Lets keep learning, keep growing, and keep expecting great things.